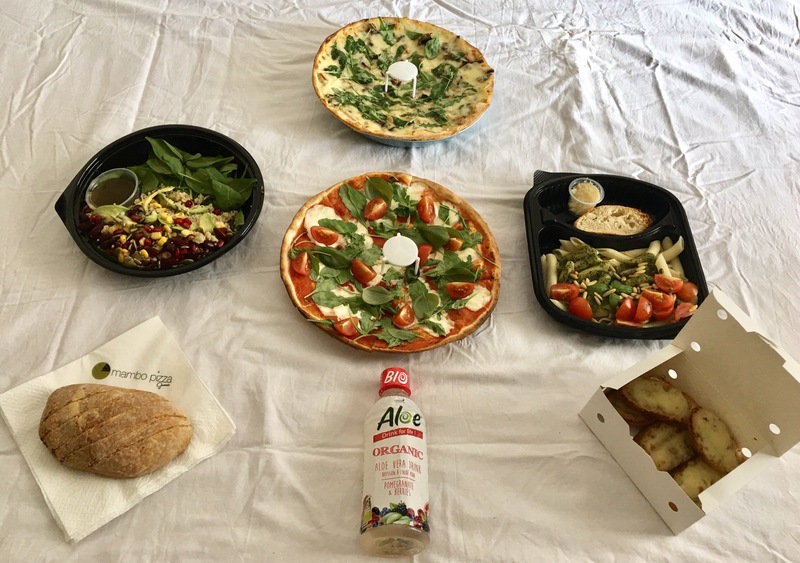 I just got back from my month-long holiday, and I’ve loads of work at home, so decided to order food as I didn’t have the time or energy for cooking. My kids insisted that we should order from a new pizza place and my online search for a new pizza restaurant led me to Mambo Gourmet Pizza. Mambo Gourmet Pizza is a gourmet pizza restaurant from Nice, France and recently it opened two outlets in Dubai. And I ordered pizza from their Healthcare City outlet. Established in 1995, with its first unit located in Nice, France, “Mambo Pizza” has taken off in a strong way differentiating itself from their competitors by offering superior product quality and speed of service. Soon after, a second unit, was created in order to expand its area of coverage and reduce the waiting time for customers. Mambo Gourmet Pizza is ranked 5th place at the world pizza championships in Italy, so you can expect great quality pizza. With credentials like this, we were thrilled to order from Mambo Gourmet Pizza and we were not disappointed. We ordered online from their website, the delivery was quick and on-time. Apart from pizzas, their menu offers many other dishes. They have salads, finger foods, sandwiches, pastas and desserts. We ordered a bottle of Aloe Vera Organic Pomegranate for our drink. Mambo Booster Salad had a healthy and tasty mix of quinoa, sweet corn, kidney beans, Pomegranate seeds, avocado, parsley, red onion, baby spinach and mixed seeds in a lemon dressing. Garlic Bread is a favorite with my kids and I had to order it. Tiny slices of garlic bread was topped with mozzarella and my kids loved it. They had also sent a complimentary loaf of Bread. When it comes to pizza, they’ve a huge selection. They’ve classic pizzas as well as their own creations. We ordered two of their thin-crust popular pizza creations that was made with whole wheat flour. 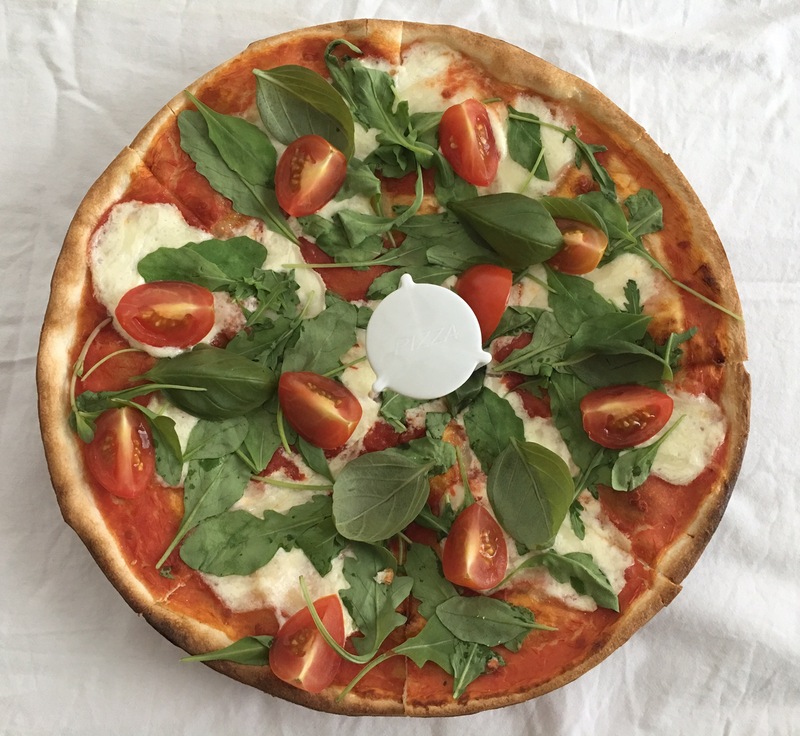 Burrata Pizza had a tomato sauce base, burrata, cherry tomatoes, fresh basil and rucola. It was one of the best pizza I had in a long time. Definitely worth trying. Truffle Pizza had a cream base, mushrooms, mozzarella, parmesan, truffle oil and rucola. This pizza was good too, but our favorite is their Burrata Pizza. Pesto Pasta had homemade pesto sauce with Penne, cherry tomatoes, pine nuts served with homemade bread. The pasta was too dry, wish there was more sauce. Tiramisu, the famous coffee flavored Italian dessert was amazing. A definite must-try if you ask me. We enjoyed our lunch from Mambo Gourmet Pizza. Now we know, where to order when pizza cravings strikes us.